If you had to explain one element of your profession to those who don’t know much about your work, focus might be the best example of an area of expertise lost on the non-film or -video professional. Focus doesn’t get a lot of attention in our everyday lives, but in film, video, and photography, it’s absolutely crucial. For filmmakers and video professionals, using focus in your compositions — specifically when you change focus in your shots — is a very powerful way to capture an audience and advance your narrative. The “rack-focus” is a technique that involves shifting the focus from one subject or piece of information to another. Let’s look at some examples — and some of the best practices for mastering this technique. Before diving all hair-trigger into shooting your rack focuses, it’s helpful to know (and set) the focus points you’ll be racking between. This is part of setting your composition. Once you have a shot you like, make sure both your focus points are, in fact, achievable. You can use your focus zoom previews to be absolutely sure. Once your points are set, try a few practice rack focuses before rolling. When looking for interesting rack focus compositions, one of the key principles is using the planes of foreground, middleground, and background. (Here’s a great article on mastering the concept.) A fun goal for setting your rack focus is to find a creative way to pass through all three planes, starting in the foreground and moving your focus across the middle and settling on a subject in the background (or vice versa). Try out several different shots on your own. When doing a rack focus, you have complete control over the speed and pace of your focus shift. Whether you have your fingers on your lens’s focus ring or are using some sort of pulling device, any kinetic technique will give you 100% control of how fast or slow your focus racks. When you have your shot composed and your points set, try to mix up the speeds for different effects. A fast rack focus can cause excitement and action, while a slow one can often build suspense and intrigue. Another element to consider when doing a rack focus is movement. This can mean either your subject’s movement in a static composition (where you can employ follow-focus techniques by racking as a subject moves toward or away from the camera) or adding physical movement to the camera itself. Combining camera movements — like simple pans or tilts, or smooth dolly or slider moves — along with a rack focus yields a complex and cinematic shot. As I mentioned above, another trick to help your rack focus technique is to use add-on equipment like manual focus rings for more defined control, or even off-camera controls for precise focus pulling and adjustments. 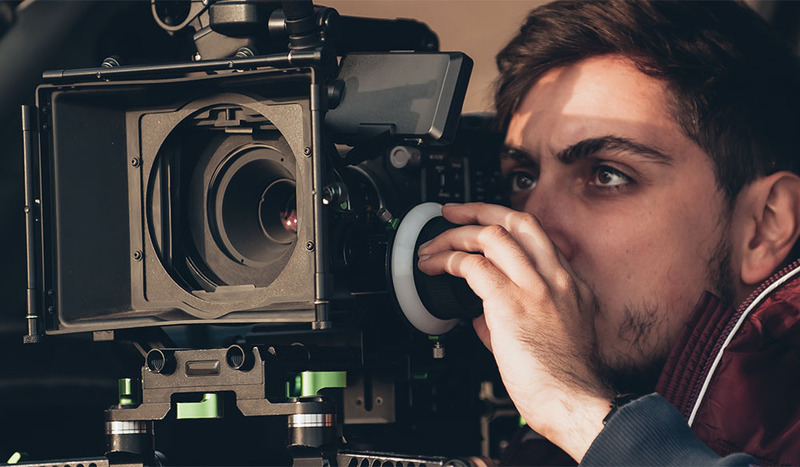 On more major productions, it’s common practice for a focus puller to work in tandem with the camera operator off of a monitor with digital focus control at their fingertips. You can also use some inexpensive focus rings attached to your DSLR or mirrorless camera with your build-out for more stability and control. Here are some good focus pulling options and resources to consider. One add-on technique that I’d recommend is trying out an out-of-focus shot at either the beginning or the end of your rack focus. I’ve found it works best when working with a static, stationary shot; complete your rack focus move, then continue to slide your focus as far out-of-focus as possible. From there, in post, you can reverse it for what will be a out-of-focus shot coming tightly into focus, before completing a complex rack to another point. Also, depending on your camera, you may have some digital auto-focus technology at your fingertips. Some cameras may even let you simply tap on your LCD screen to set your automatic focus point. You can also drag and move your focus, or set your camera to follow a face or another object. Here’s a more in-depth article about using the AF technology in the Canon 5D Mark IV. If you’re looking for more filmmaking tips and tricks, check out some of these articles.